I am not sure why, but the other day I got the biggest craving for peanut butter. This is odd for me. As a child, I was never one who liked peanut butter. My siblings (there are 5 of them) could often be found having peanut butter toast for after school snack. Myself? Never. Still to this day I have never had peanut butter on toast. I do, however, absolutely love peanut butter in recipes. 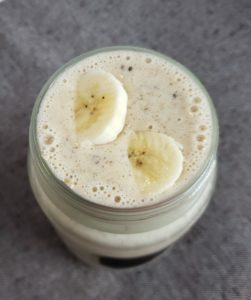 This peanut butter banana smoothie gives me all the flavor I could ask for without the bread. 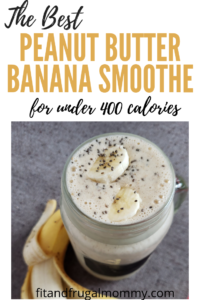 In this recipe, I use Kraft All Natural Peanut Butter. I am really a fan of the taste and texture and as far as All Natural Peanut Butters go, you can’t beat the price. 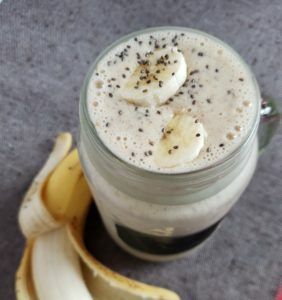 I also include chia seeds in this recipe. 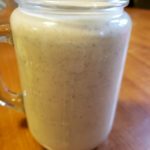 I’ve spoken about them before in other Smoothie recipes, like my Creamy Green Super Food Smoothie. Chia seeds are an excellent way to boost the nutrients in any given smoothie without changing the flavor or adding a lot of calories. They are completely optional, but absolutely worth it! You can read more about the benefits of chia seeds here. I use a Nutribullet Pro blender. I highly recommend it and use it almost every day. I have found that a regular blender just doesn’t replicate the consistency the Nutribullet Pro does. I love it! 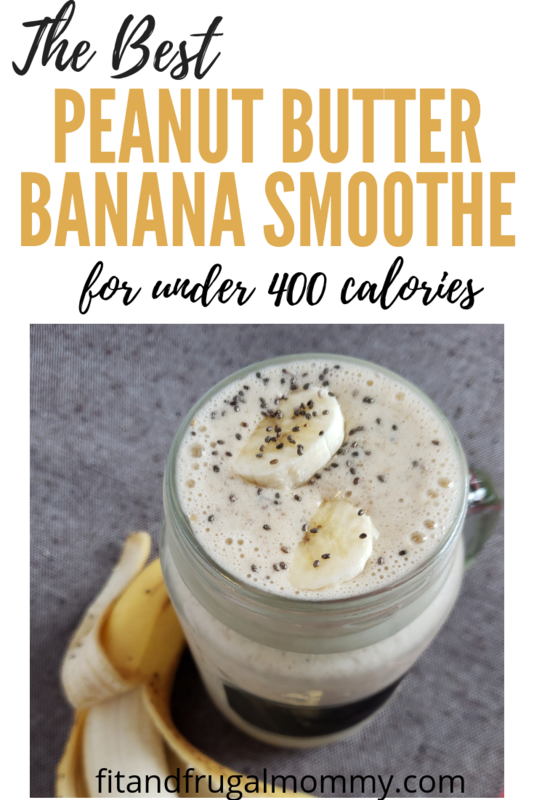 A delicious peanut butter banana smoothie that satisfies without the bread. Add all ingredients to your blender and blend for 15 seconds or until desired consistency is reached.